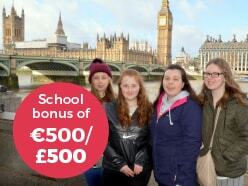 A Transition Year trip to China will be the experience of a lifetime for many pupils. The diverse mix of historical landmarks, incredible scenery and interactive Chinese experiences reveal the rich and long history of one of the oldest civilisations in the world that’s now re-inventing itself for the 21st century. As many aspects of Chinese life are so different from that in the UK and Ireland, a tour here will help to give pupils an appreciation of different cultures and lifestyles.